Beautiful page layout, I love how you used those 3x4 cards on your page and the Larkspur flowers are so pretty and peaceful, just like the retreat looks to be! TFS your amazing project. 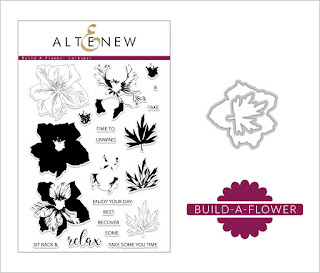 Please email Altenew at winner@altenew.com with the subject line "BAF: Larkspur Release Winner from Raquel's Blog" to redeem your $20 gift certificate to the Altenew store. Congrats and enjoy your prize!! !